With iCloud Photo Library, you can access all of your images, videos, GIFs, and screenshots on all your devices. But that’s not the only way you can share photos using iCloud and what’s more, you don't have to share your whole library. Even better: if you want to share photos with someone, that person doesn't need to be using an iOS or macOS device. 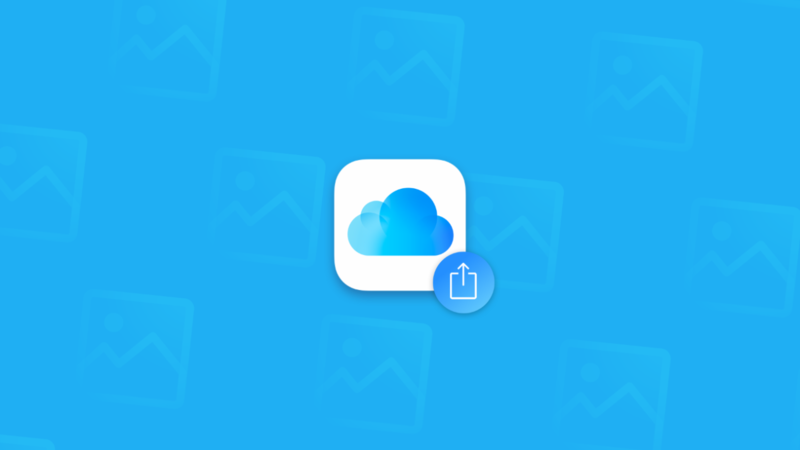 iCloud Photo Sharing allows you to do all that, and this quick guide covers everything you need to know to use the feature. What is iCloud Photo Sharing? 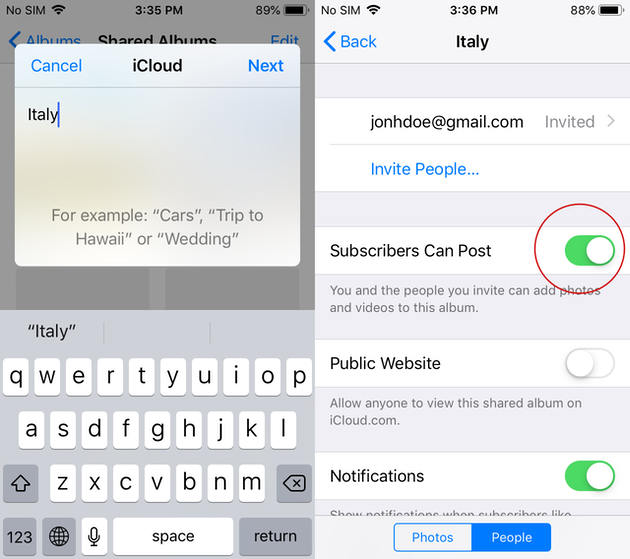 Within your iCloud settings on iPhone, you've got three options for photo sharing. iCloud Photo Sharing is one of those, giving you the ability to privately share an album with other people you invite. You can grant or revoke access, upload and share up to 5000 photos or videos, and none of this impacts your iCloud storage limit. Is iCloud Photo Sharing the same thing as iCloud Photo Library? No, these are two separate features of iCloud. iCloud Photo Sharing gives you a photo sharing experience similar to that of social networks. You share albums privately with friends, family or colleagues — up to 100 invites are available for every album. Anyone who’s part of this shared album can comment, like, or upload their own photos and videos. And the great news is, shared albums don't count towards your iCloud storage limit, giving you and contributors to the album the ability to store up to 5000 photos and videos. Once you hit that limit, you will need to delete something before uploading new content. iCloud Photo Library, on the other hand is a way to share your photo library between all iOS or macOS devices you own, without the invites feature of iCloud Photo Sharing. Perhaps aware of this common confusion, Apple has rebranded iCloud Photo Library as iCloud Photos, and iCloud Photo Sharing — as Shared Albums. But since many Mac and iPhone users still refer to the feature as iCloud Photo Sharing, we'll call it that for now. Sharing photos between people is simple. All you need to do is make sure everyone has iCloud Photo Sharing enabled on the devices they're using. 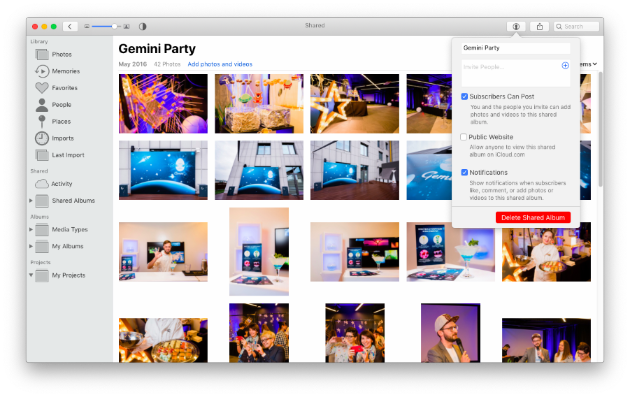 On a Mac, the process is similar, and you can create and share albums using the Photos app. Invitees will get a notification, either through email or their iPhones notifications. 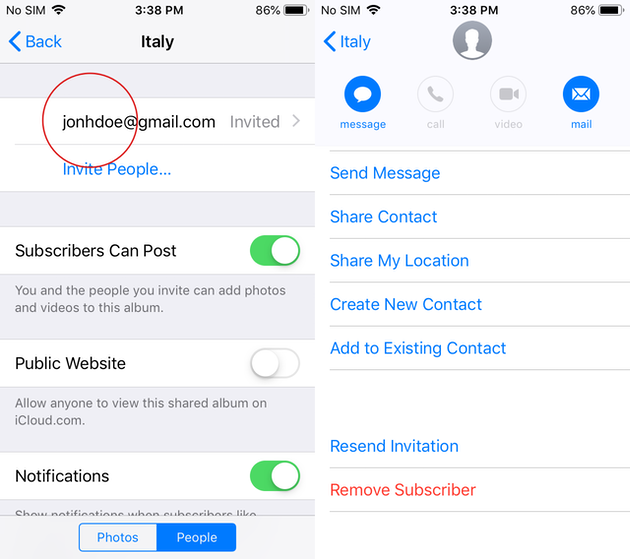 To make sure they can add their own photos or videos, tap People in the shared album settings (where you invited everyone), then turn on Subscribers Can Post. It can be hard for people to navigate your album when it’s packed with photos that look the same. Chances are, you’ll want to share just the best shots and get rid of the ones with closed eyes and poor composition. To keep your photo albums trim, use Gemini 2 on your Mac and Gemini Photos on your iPhone. Both apps are good at finding redundant similar photos. At present, there seems to be no way to share a regular album you’ve already made. Copying images into a new Shared Album, then inviting people is the easiest way to get others to view and contribute to the album. On an iPhone or iPad, you can view and contribute to a shared album in the Photos app. On a Mac, the album will be in the sidebar of Photos, under Shared Albums. Another way to view, comment and upload images is through iCloud.com, making it easier for those who are taking part in the album from Windows or Android devices. Album creators can always delete images, videos, comments and remove members from Shared Albums. Anything you delete is automatically deleted across every device with access to the shared album. Subscribed members might have been notified to changes, such as a comment, before it was deleted. If you ever need to revoke access, a subscriber can easily be removed. A menu will appear. Select the person you want to remove from the album. 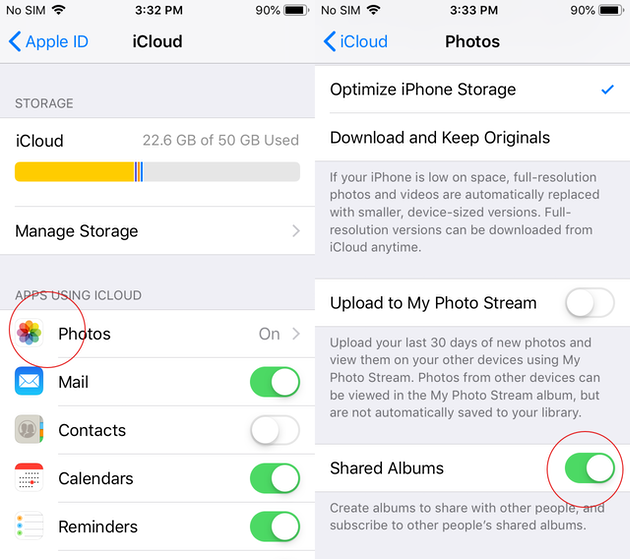 iCloud Photo Sharing not working: Why can’t I see shared photos? There could be a few reasons this isn’t working. As the album creator, you may have hit the upper limit of images and videos (up to 5000) or subscribers (up to 100), which could prevent sharing from working. Or, maybe you’ve got poor signal or WiFi connectivity, which can prevent you from viewing images and comments. As one of the subscribers, you might want to check if the album still exists or if you’ve been removed, which is always at the discretion of the album creator. We hope this quick guide proves useful for anyone wanting to share photos with friends and family. Apple makes this quick and easy, so that everyone can join in, share memories, and relive happy moments together.